While it’s important to have an eye-catching design on your supplement packaging, brands must also keep in mind what their packaging says about their brand. Even more important, failing to have the right information may make you a target of the FDA and ultimately shut down your business before it can take off. In this article, we will look at some of the best ways to stay on the right side of the law and improve your supplement packaging before sending your products to market. One of the easiest ways to ensure your product is a failure before customers have a chance to purchase it is to not follow labeling guidelines provided by the FDA. 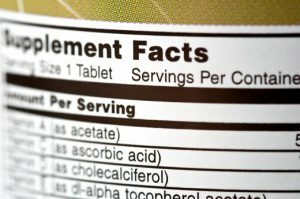 Every packaging design you create should include a “Supplement Facts Panel” that includes required information like the number of servings in the bottle, the recommended serving size and an itemized list of each ingredient and their associated quantities. Any errors in your supplement facts panel can immediately put your business on the radar of the FDA and warrant a complete shutdown. Aside from the aforementioned issues, every supplement must also have an FDA disclaimer that is clear and legible connected to their supplement facts panel. This statement reads “These statements have not been evaluated by the Food and Drug Administration. These products are not intended to diagnose, treat, cure or prevent any disease”. While often glossed over by consumers because it is present on all supplement packaging, businesses that fail to remember this detail will be severely penalized. 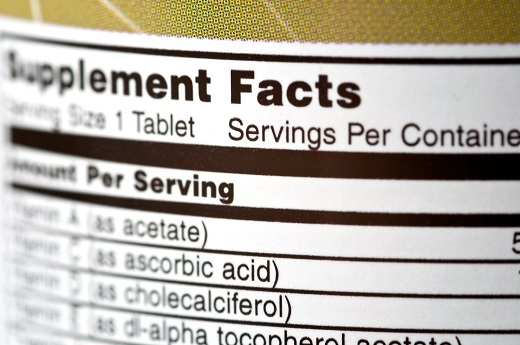 However, as a trusted contract manufacturer, JW Nutritional can help create your supplement facts label and incorporate them into your finished product. One other important labeling component to remember when creating your product packaging is to not make any health claims that haven’t been authorized by the FDA. For instance, businesses can’t say that their product may help alleviate symptoms of a disease or make unfounded claims to improve sells. While a common problem, it often limits the chances that businesses have at successfully bringing their new products to market. Before formulating your product, you likely had a target audience in mind. With this knowledge, you should be able to tailor your supplement packaging to cater to their wants, needs or preferences. By incorporating the design elements and ideas they are most drawn to, you will have more success marketing your products to your target consumers. If you are in a competitive market, don’t be afraid to be bold with your supplement packaging design to differentiate yourself from the other products on the shelf. This not only builds brand interest, but it also helps create a lasting impression on potential customers so they remember your brand in the future. Find the design elements and colors that work best for your brand image and incorporate them into your final design. Previous Previous post: What Makes a Contract Manufacturer Right For Your Business?